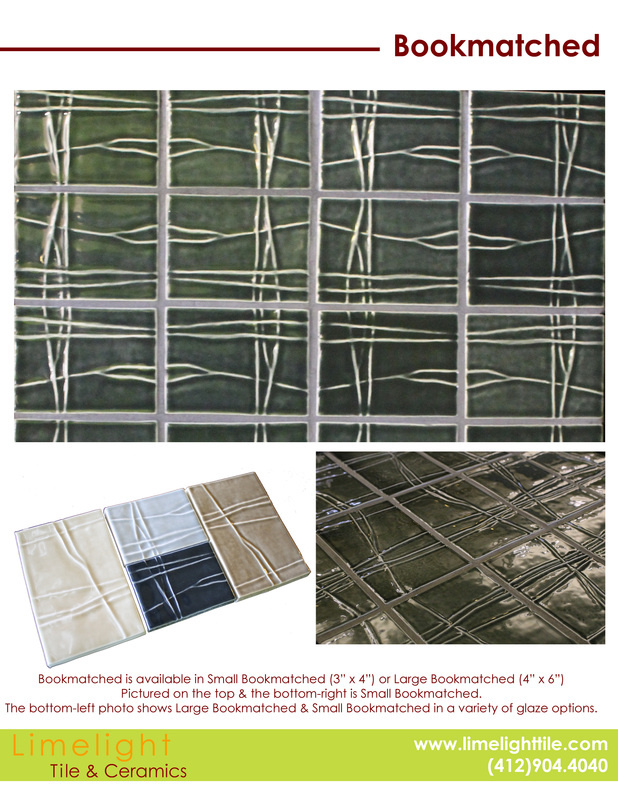 The Bookmatched is a subtle, hand-carved ceramic tile design and is available in our standard or custom glazes along with unglazed natural or colored clays. This particular ceramic tile can be for interior or exterior use, so you do not have to limit your options based on location. To make it even more convenient for our customers, this ceramic tile pattern is available in 4” x 6” and 4” x 3” versions that can be used separately or together. The pattern repeats in mirrored pairs along the short and long sides, so you can choose the direction of the tile either tall or wide. When deciding on ceramic tile patterns, you should consider how it will look if you customize the colors and layout. Trust Limelight Tile & Ceramics when you need high-quality, decorative ceramic tile for your business. Give us a call at (412) 904-4040 to learn more about our custom ceramic tiles.